Tuesdays + Maj Jongg = Happiness! 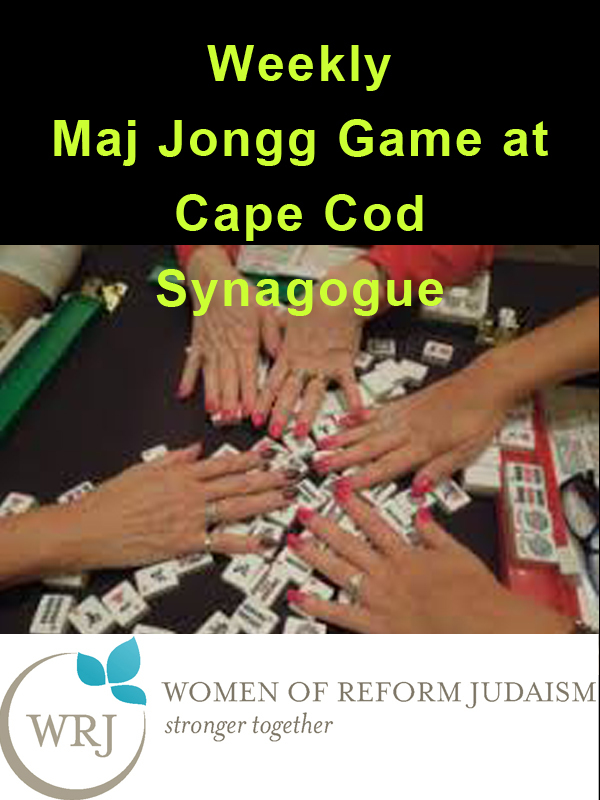 The Sisterhood of Cape Cod Synagogue invites everyone and anyone to join the weekly Maj Jongg game on Tuesday’s at 1:00 pm at the Cape Cod Synagogue. Lessons are also offered on Tuesday’s from 12:00-1:00 pm. If you would like to learn how to play, contact Susan Mason at esmason@comcast.net. Previous Sunday Morning Yoga is Back with Coffee and Yogurt! Check the dates.